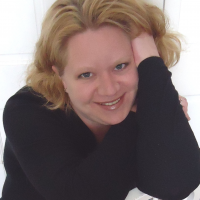 Kelly Moran is a bestselling author of enchanting ever-afters. She gets her ideas from everyone and everything around her and there's always a book playing out in her head. No one who knows her bats an eyelash when she talks to herself. Kelly is a RITA Finalist, RONE Award Winner, Catherine Award-Winner, Readers Choice Finalist, Holt Medallion Finalist, and landed on the Must Read & 10 Best Reads lists at USA TODAY's Lifestyle blog. She is a proud Romance Writers of America member, where she was an Award of Excellence Finalist. Kelly's interests include: sappy movies, MLB, NFL, driving others insane, and sleeping when she can. She is a closet coffee junkie and chocoholic, but don't tell anyone. She resides in South Carolina with her 3 sons and her 2 dogs.